As we looked through what we published in 2017 to highlight the very best knowledge shared, two things stood out to us. First, we were thrilled to feature a star-studded cast of extraordinary operators — including but not limited to Instagram CTO Mike Krieger, Facebook VP Product Fidji Simo, Reddit Co-founder Alexis Ohanian, Foursquare CEO Dennis Crowley, and Stripe COO Claire Hughes Johnson. But second, and more importantly: We ended the year featuring nearly 50-50 women and men leaders (46% women to be exact). In an industry where visibility and role models can make an enormous difference, we were happy to do our part — and motivated to do even better next year. The advice we've collected here is a tapestry of what technology's top minds believe is most important for people to know right now. Before every interview we ever do, we work with our subjects to choose a topic they think is truly timely and urgent — like a question they get asked all the time, or something they know keeps too many people up at night. In order to build this year-end roundup, we re-read through it all to concentrate the most pressing and impactful wisdom they shared — the tactics, actions, systems and frameworks they themselves invented or applied to succeed when the chips were down and failure wasn't an option. Now all of this is yours, too. Take it with you, and make 2018 your year. We'll be rooting for you (as we write even more). 1. Start every day at zero. Edith Harbaugh has led product and engineering teams for nearly two decades. But not all of her management know-how came from coding. The LaunchDarkly CEO frequently calls upon a 3,360 mile bicycle ride to Glacier National Park, during which she learned to monitor her energy, adapt to change, and make decisions at forks in the road. Her most transferable lesson for building startups and software? Every ride starts with zero. Every day she set the odometer on her bike to zero with a plan to reach a daily goal, say 50 miles. For both cycling and software development, measurement is vital — observing visible progress is motivating. Feeling like you have 80% of the work ahead makes one’s daily contribution to the goal feel insignificant. Once your direction is set, begin each day with a blank slate. Starting every day from zero increases team focus, generates a concrete sense of accomplishment and forward motion, and helps prevent complacency. 2. Hire product managers that act like chefs or soldiers. Being able to lead without authority. Always taking blame while giving credit away. Strong decision-making with imperfect information. Methodical in how they recover from mistakes and crises. Operating optimally under extreme pressure. While very few of the PMs you meet may actually be former chefs or soldiers, this list can serve as a rubric for hiring product managers who have the raw skills to succeed in the role. So, if you see 'short order cook' on a resume, maybe consider moving it to the top of the pile. Product is this tough job where no one truly works for you. The engineering team doesn't report to you. They don't really have to do what you say, but you have to be their leader anyway. 3. 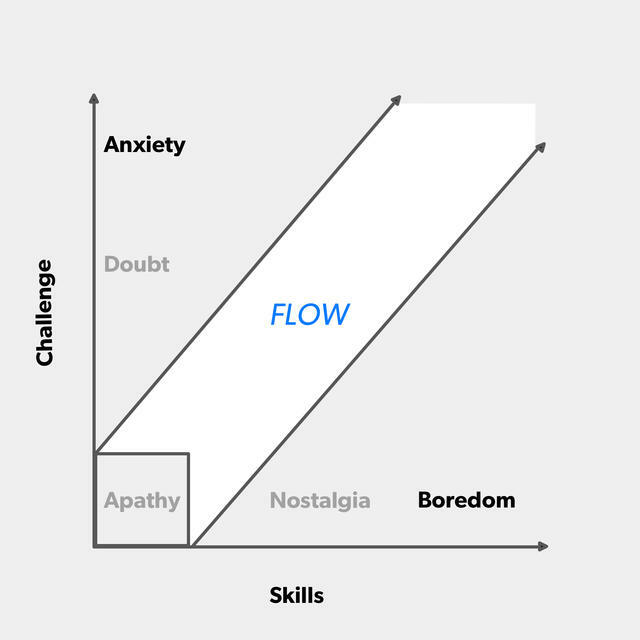 Keep your team in 'flow state' with this framework. As Director of Engineering at Slack, Cynthia Maxwell sent out an engagement survey to her team, and one metric made her the proudest: 100% of her people said they felt involved with decisions about their work. What is the Apple, Yahoo!, and Pinterest veteran’s secret? She developed a framework to help her team achieve — and stay — in a state of flow. The simple graphs below are designed for direct reports to plot their job satisfaction quickly and candidly, while giving managers an entrypoint to have a discussion on how to keep them engaged. 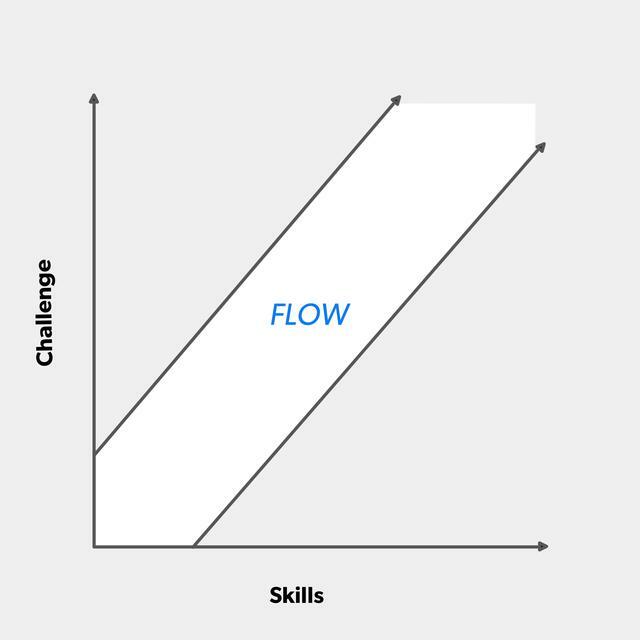 In 1:1s, show your report the chart marked Figure A. It’s a simple diagram that’s intersected by a “flow beam,” a desired, target area where skills and challenge meet. Figure B is the manager’s version of the chart and serves as a helpful key. It includes sign posts for when someone is out of flow, so managers can help get their team back on track. This is not a performance evaluation. This is a performing evaluation. The question is: how I can get you more into your work, not get more work out of you? 4. Become insanely well connected with these 7 rules for making memorable connections. Convey genuine appreciation: Actively project warmth and high energy. It’s been observed people like you when they feel liked by you. Listen with intent: Being a good listener is about two things: 1) Demonstrating that you’ve heard exactly what was said by the other person, and 2) encouraging them to continue. Ask follow up questions that reference the information you were just given. Use humility markers: Acknowledging your own fallibility and human imperfection can go a long way toward making yourself relatable. “I’ll often start a conversation saying, ‘I’m wrong all the time and I very well may be here,’” Fralic says. Offer unvarnished honesty: You can differentiate yourself by being as honest as you can. Just remember to root your honesty in what will actually have utility for the other party. Blue-sky brainstorm: Maybe you can’t provide what someone is looking for. But, if you can change the angle or way they’re thinking about something by openly brainstorming with them, you make them feel like they got something special and unexpected. End every meeting where you'd like to start next time: Assume you’re going to run into everyone again, and when you do, you want the person to think, ‘Oh great, it’s so-and-so!’ not ‘I guess I’ll get through this somehow.’ If you envision how you want that to go, it’ll undoubtedly influence how you navigate a present conversation — usually for the better. Don't fake it till you make it: If you want to connect with someone to move your goals forward, you need to know exactly why you care about that person or their company. Magic happens when your sincerity is powered by diligent preparation. 5. Stop evaluating your people based on potential. Superstars are the people who leap in rank and performance. They’re the force and source of growth on your team. Rockstars are talented and content in their roles for years. They provide excellence, education, and stability. Scott emphasizes that people in both modes need to be matched with the right opportunities and should have equally steep and respected growth trajectories at your company. She devised a framework (below) to help identify which mode people are in, moving towards or away from — and urges managers to have discussions with their teams to map out each member’s placement on the chart every year. 6. Pause and ask these questions to grow smarter and faster. Have we documented our operating principles? You need to document core tenets describing the way you work. They should be clear and explicit enough that the people who consult them will make the same decisions a founder of your company would. What structure is going to help us achieve our goals? Do you want to run a flat organization? Have hierarchy? You need to decide what is going to work best. You also want to anticipate that the size and shape and number of people around any given table is bound to change. Who has been successful at our company so far? “Take the time to ask: Okay, what kind of people have we hired? Who’s doing really well? Who’s scaling at the same pace as the company? What are those people’s characteristics?” says Johnson. You want to hire more people who fit the mold of the people who not only have the right skills, but who are having a good time too. 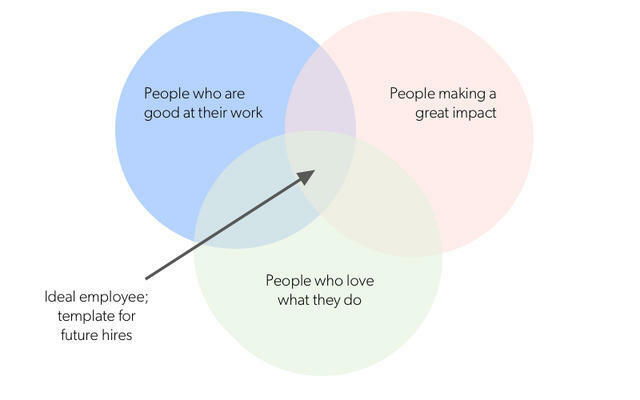 Do we have a way to measure the employee experience? Stripe, for instance, surveys its workforce every six months. For Johnson, the most important question on the survey measures: “Do I feel a direct relationship between the work that I do every day and the success of the company?” Look at the data you collect and try to diagnose any problems you see. Are we decentralizing decisionmaking? To make sure you are, Johnson prescribes the same method used by medical residency programs: See one, do one, teach one. Much more on each of these and how to implement them at your own company here. One of the most subtle forms of determination is tenacity as a private truth, says Foursquare Co-founder Dennis Crowley. To wit, casual observers probably don’t know that the Foursquare team has been defining itself as a location intelligence company with partnerships with Snap, Twitter or Apple Maps, but rather continue to evaluate it by its consumer apps’ usage metrics. As a founder, you will likely find yourself in your early years, sitting on business data or strategy that you can’t yet share. That’s the moment, Crowley says, to double down and stay true to your big idea. "Repeat what you’re doing every week at the company meeting. Remind each other. Explain how you define success, and reinforce that internally." 8. Use this matrix to make decisions on growing teams. Gil Shklarski has spent his career solving incredibly complex problems. Whether it was making Facebook safer or working on infrastructure for Microsoft’s maps, or today leading a massive tech team as CTO of Flatiron Health, he's often had to help large groups of people stay aligned as they make high-stakes decisions. He's done this so much, in fact, that he created a concrete framework around how to do it. It starts with a basic chart, with the two (or more) options you’re deciding between at the top. 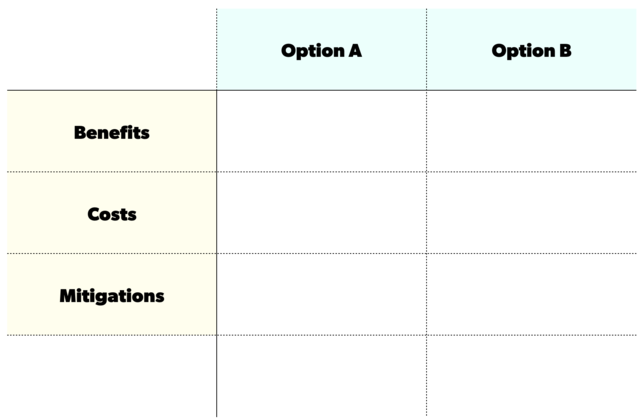 Down the left-hand column, you have benefits, costs, and — uniquely — mitigations. 9. Be inclusive by humanizing exclusion. Damien Hooper-Campbell has led diversity and inclusion efforts at eBay, Google and Uber. Rather than turn to formal D&I training, his first goal is to humanize and normalize the experience of exclusion. Here's how: Divide team members into groups of two and give them this prompt: Dial back in your own life to a personal event when you felt excluded — regardless of when or why. Ask each pairing to detail the experience honestly and identify a few adjectives they felt in the moment. Regroup and ask for a few brave volunteers. Let them share and don’t tolerate interruptions. 10. Don't choose risk-averse mentors. After selling Reddit to Conde Nast in 2006, Alexis Ohanian has now rejoined the company full-time — and he's had a lot of time to reflect. Earlier this year, he candidly shared what he learned on his long stint away while advising a number of other startups. In particular, he focused on what he didn't do that made all the difference to his career, and one of the big ones was not choosing mentors or role models that seemed at all opposed to risk. Ideally, you want to surround yourself with people who will push you past your appetite for risk if that’s what needs to happen. Choose mentors, investors, advisors, who have broad vantage points and long histories of watching companies rise and fall. You want folks who have seen enough to know they’ve seen too much, and who will talk you into pushing yourself as a result. Ohanian experienced this first and foremost with YC Co-founder Jessica Livingston, who suggested that he go on a fake press tour in New York when he was just 22 — or rather, try to generate a bunch of reporter conversations out of thin air. At first, he was intimidated and balked. But, having been through a lot herself, Livingston was able to put it in perspective and make it sound low-stakes. 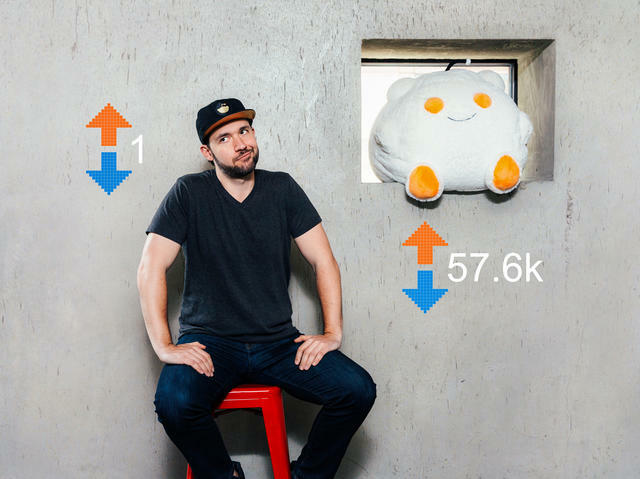 He went through with it — and if he hadn't, he never would have made the connection that led to Reddit's sale. 11. Avoid vanity metrics by building event streams. After decades of leading technical teams at companies like Looker, LiveOps, Netscape and ReadyForce, Lloyd Tabb’s biggest lesson isn’t what you would expect — or want to hear: you’re measuring the wrong metrics. We all are. The numbers that are often elevated within technology companies — from daily active users to revenue growth — effectively compare companies, but don’t necessarily help them run better. He describes these measurements as vanity metrics. Instead, he urges companies to track clarity metrics: operational metrics, such as active engagement minutes that drive growth. To not fall into the vanity metrics trap, Tabb suggests centralizing user activities and milestones into a single event stream. Event streams show a comprehensive view of how people move through your product, enable you to analyze their behavior, and track how your metrics influence each other. 12. Schedule solo 'clarity meetings' to do focused, intentional work. 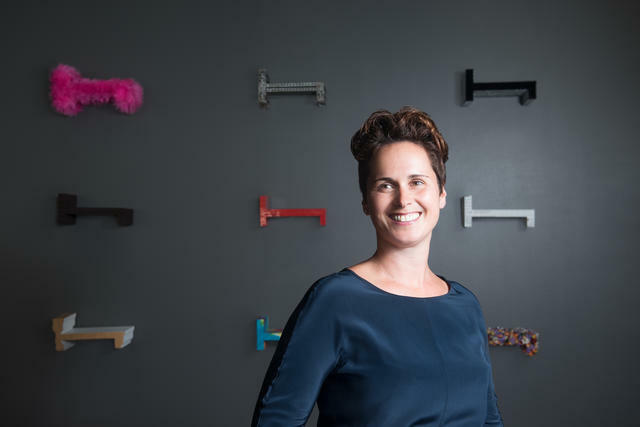 Fidji Simo is a prime example of someone who has catapulted up her particular career ladder. Today, she's VP of Product for all of Facebook's video, news and advertising efforts — managing an organization of 400 PMs. When she joined the company six years ago, she was a product marketing manager. What accounts for her swift rise? Her employees will tell you it's her uncanny ability to focus. A key piece of this is proactively scheduled alone-time to create clarity and intentionality in her work. Simo blocks off between 30 and 60 minutes on her calendar every Monday morning to ensure that her actions are aligned with and supporting her intentions. List the broader team or organization’s top priorities. Check that your personal priorities for the week still align with those priorities. Check for any new information or data that requires a shift in priorities. Check priorities against your time allocation, meetings and commitments that week. Make any adjustments to your calendar to better reflect your priorities. Note any priority adjustments that impact or need to be communicated to your team. Focus is really about aligning with your purpose – whether it be your purpose on a specific project or your higher purpose in life. When actions reflect intentions, you’re in alignment with your personal mission. Only then can you truly shine. 13. 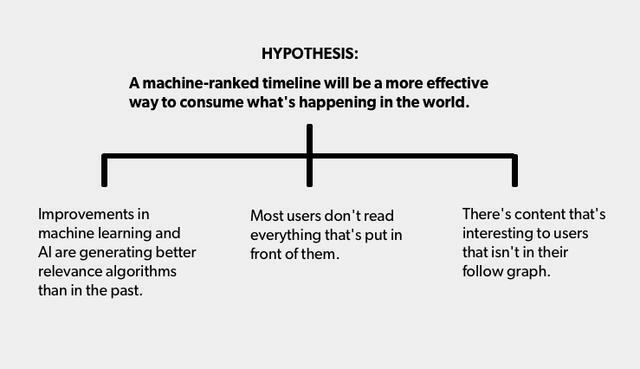 Stop doubting product decisions with a hypothesis tree. If you’ve ever felt that pang of doubt while building a product — and it’s lingered even up until its release — you’re not alone. Director of Core Product at Slack and a former Group PM at Twitter Paul Rosania has battled through uncertainty while working on hotly-disputed features like Twitter’s ranked timeline and Slack’s Threads. His best advice to diffuse doubt? Deconstruct the feature by working down a hypothesis tree (below). Establish your hypothesis at the top and list supporting beliefs that contribute to it being true below. Each branch should be an independently verifiable hypothesis, where evidence for or against it strengthens or weakens your main hypothesis. Hypothesis trees will focus debates with detractors and sidestep knee-jerk reactions. 14. Move gracefully from a team of generalists to a team of specialists. 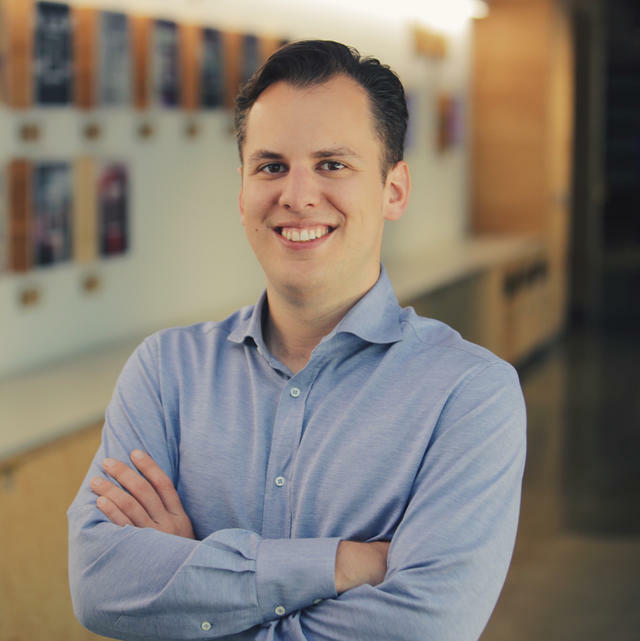 Instagram Co-founder and CTO Mike Krieger remembers well having just 6 generalist developers at the time Facebook acquired the company. Today, he’s at the helm of a 300+ person engineering team rapidly launching new features and products. In between these two realities, he successfully guided his very generalist team into an era of specialization without losing great talent or deflating the culture. You’re inventing something that goes beyond the abilities typically offered by the platforms you’re working within. You start moving into new markets that require highly-tuned code. In Instagram’s case, this was making video work well in emerging markets. Your codebase has scaled and needs technical leads to shepherd future growth. Second, he helped his generalists find the directions they felt good about. He had them suss out what they were organically gravitating toward (iOS, Android, Web, etc. ), then he had a conversation with each of them to reinforce why he needed their very unique mind working on that area full time, and what benefit that would have for the company at large. Third, he ensured that specialization didn't mean ditching all flexibility. Keep your eyes peeled for opportunities to have your generalists stretch their legs again in other areas. 15. Draft a JD for a COO — even if you’re not hiring one yet. Most startups wait too long before bringing on an operational leader due to the lack of clarity around the role. So start crafting a job description for a COO well before you need to hire one. This will also kick-off a process of self-examination for any CEO, says Etsy COO Linda Kozlowski. She suggests a Self-Awareness 301 assessment and points to the seven profiles of operational leaders to customize the optimal CEO/COO pairing. When is best to get started defining — and filling — the COO position? As a rule of thumb, if you’re building a physical product you should hire a COO immediately. Digital startups can wait until after product-market-fit. While each pairing will be based on the CEO, stage of your company, and composition of the executive team, Kozlowski outlines five non-negotiable traits all COOs must have: trust, proven execution, control of ego, chemistry with CEO, and versatility. 16. 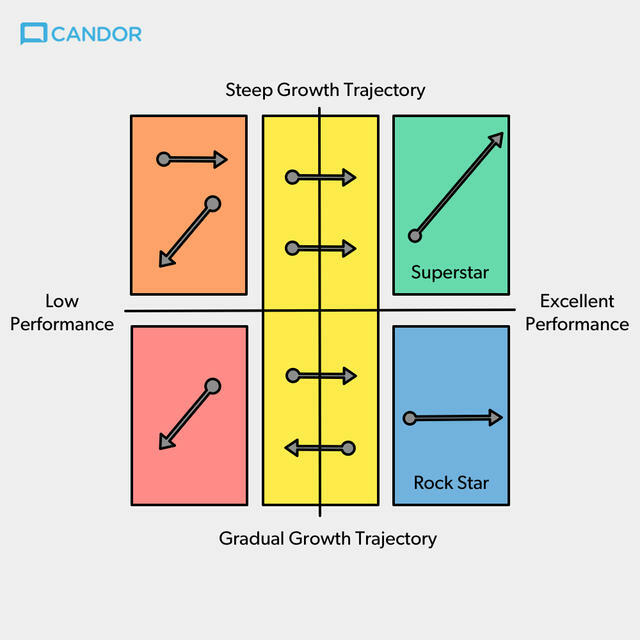 Standardize how you evaluate performance to create a more inclusive culture. 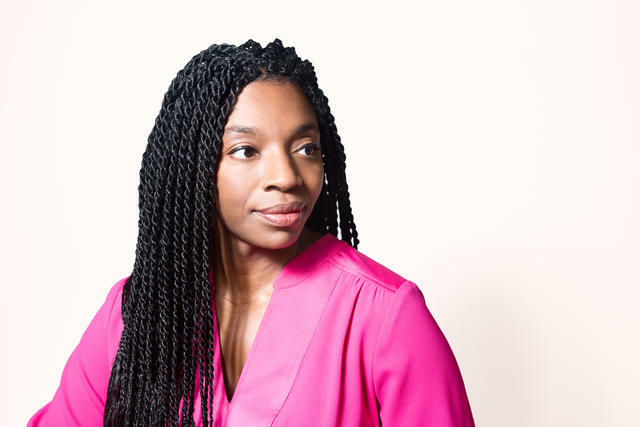 Aubrey Blanche, Atlassian’s Global Head of Diversity Inclusion, has overseen an impressive 80% jump in women joining the technical team. In a field that’s all about uncertainty and running experiments, Blanche’s have clearly worked. One of her most successful initiatives has been standardizing the way current and prospective staff members are evaluated. One of the major ways people move up in organizations is by gaining visibility while working on large projects. To make sure everyone has this opportunity, you should standardize the way people are selected for high-profile projects — something that is often very subjective or ad hoc. The same mindset should be applied to job candidates. Focus on skills rather than specific experience. Why say “B.S. in computer science” when you really mean “experience building high-quality software”? Or instead of “startup experience preferred,” perhaps you really mean “ability to work in close collaboration with a team in an ambiguous and fast-paced environment”? Blanche recommends standardizing all interviews around a specific set of questions that indicate behaviors that are successful at your company, and then generating a list of appropriate answers. 17. Demo your product with the young, the old and the drunk. When it comes to building products, there’s one element of simplicity that matters most: cognitive simplicity, says David Lieb, who leads Google Photos. Cognitive simplicity is measured by how easy your product is to understand. But its nemesis is cognitive overhead, which is the number of logical connections that your brain has to make to contextualize and understand what it sees. Lieb asserts that the best detectors of cognitive overhead are the young, the old and the drunk. To test for cognitive simplicity, give your product to the young, the old or the drunk to use — without your preface or explanation. Then ask: What is this product for? How do you use it? Each subset is hyper-sensitive to cognitive overhead — how they react to it will give you a preview to how others may. If your design is intuitive enough for them to navigate and explain, you’re in excellent shape. If not, read on for Lieb’s counterintuitive suggestions for involving your users in the process more, slowing down your product, or making it more familiar. Build products that trigger a déjà vu feeling over a “Eureka!” moment. The latter soon fades. The former links and syncs with a memory or context. 18. Develop your content program around resistance and progress triggers. Good content changes lives. Just ask former VP and Head of Marketing at Under Armour, MyFitnessPal and Trulia, Tara-Nicholle Nelson, who once wrote a blog post that saved someone’s marriage. What’s her best advice to create a scalable content program? Prioritize engagement over growth — the latter will follow. The first step is to create a customer map. Literally sketch out each segment of your customer’s daily struggle to better address the problem your company exists to solve. Circle every point of friction they face along the way. It’s simple. If you promise people something they want, deliver it. And give it to them with as few barriers as possible. 19. Nail your go-to-market by determining whether your product is bought or sold. Price: Is this a large or small economic decision for the buyer? Market Size: Is it easier for them to find you or for you to find them? Level of Complexity: Can a customer self-serve to use or is education required? Fit and Finish: After all is designed, done and shipped, is there still much more for the consumer to do? Customer: Am I predominately selling directly to people or companies? Relationship: Do I measure successful customer relationships by transactions or longevity? Touch: How much agency do you have in developing your relationship with your customer? Can your efforts compound or are the mostly one-off? The more profound way to look at one’s go-to-market strategy is to identify where your company lands on the spectrum for each of those seven variables (see chart below). 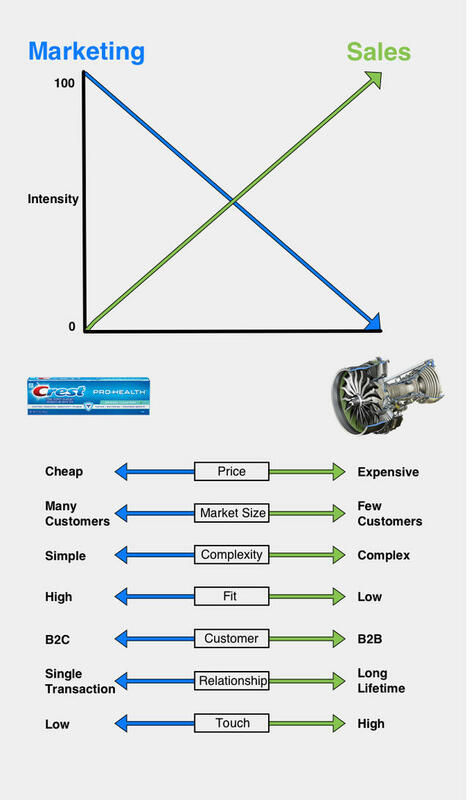 Each extreme is illustrated by a product: toothpaste is a marketing heavy product and a jet engine is a sales heavy product. If your answers largely cluster toward the left, marketing should take the lead. Campaigns will generate enough demand that customers are motivated to purchase the product on their own. If your answers group toward the right, that indicates a sales heavy approach, where your success relies on sales converting marketing’s leads into customers. This exercise will help you spot points of misalignment, make adjustments, and determine how the disciplines should interact to give you the best chance to win over customers. 20. Get into the field and stay there. You can’t just talk to users. To build the features they need, you have to observe them all day long at their jobs. Not just one day. For weeks. Go where the work is being done and be omnipresent, says Plangrid CEO and Co-founder Tracy Young. This is the only way you’ll recognize patterns and opportunities. She would know — her company's success is rooted in the time she and her team spend on construction sites. These moments of intense pain are your inroads. For Young, it was watching project engineers frantically page through hundreds of blueprints in a chaotic environment just to find one piece of data. For others on her team, it was seeing blueprints get lost, damaged or destroyed on site. These moments of emotion — the kind you only experience in-person watching others — often become your product’s most resonant features. 21. Let designers own their best-case scenario. 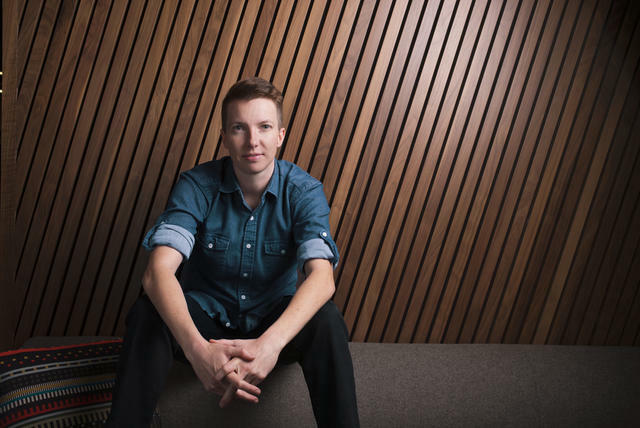 When Caitlin Kalinowski was leading development of Apple’s cylindrical computer, the Mac Pro, she had to juggle a multitude of clashing perspectives. “The industrial design team wanted the device to have a really small diameter. But that meant a small diameter on the heat sink... When the heat sink was small, more air had to be pulled through to cool the central processing unit (CPU), making it louder. Yet still we needed the computer to be quiet,” says the current product design engineering director for Oculus. “The way to solve this problem was to let each team completely own its best-case scenario. There were separate teams inside Apple focused on optimizing for small diameter, focusing on keeping the noise down, worrying about the heat transfer — we just let each one own that and drive as hard for their goal as they possibly could. For the thermal team, since this is a high performance machine, we needed the CPU performance as unlocked as possible, and so we let them fight for that. Then the audio team made sure the fan noise didn’t cross a certain threshold. Let everyone work on the best possible outcome for the feature for which they’re responsible, and you’re likely to end up making the best product trade-offs — and that means a better product." 22. Rethink agile for the enterprise. Simply stated: Too many product leaders attempt to develop enterprise software using a consumer app playbook. Ogi Kavazovic, CMO and SVP Product Strategy at Flatiron Health has seen it time and again. The trouble is, customer expectations and development cycles rarely line up, and agile development methodology doesn't take that into account. To resolve this, key is to take a two-pronged approach: 1) articulate a long-term product vision, but 2) establish a culture of flexibility when it comes to the details. As an enterprise product manager, you should create two deliverables to make this hybrid approach possible: "One is a high-level roadmap — a healthy timeline is between 18 to 24 months,” says Kavazovic. “Called the ‘vision roadmap,’ it should include big, directional boulders." The key is to leave enough flexibility in your product vision to accommodate inevitable shifts and feature-level scope adjustments as you work out the details of your development roadmap. Communicate, internally and to customers, that your vision roadmap is directional. 23. Sequence soft walls to boost user sign-ups. 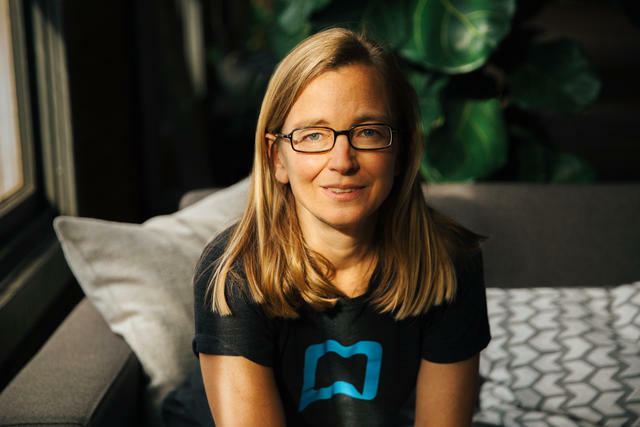 Gina Gotthilf helped Duolingo grow from 3 million to 200 million users in four years as VP of Growth and Marketing. How’d she do it? 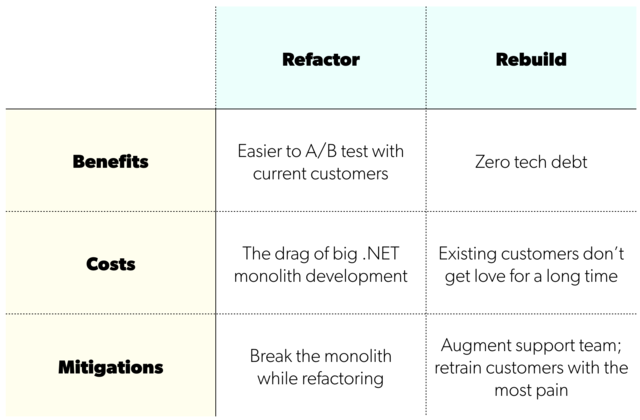 By running over 70 A/B tests to increase sign-ups and drive repeat behavior from customers. One test begged the question: What’s causing the leak at the top of the funnel — and how can we stop it? To great success, they A/B tested delayed sign-ups by introducing soft walls: pages that ask users to sign up, but that allow them to dismiss and continue on so they can discover more of the product. Introduce your first soft wall at a moment of delight for users. Add another after a few more instances of engagement. Then, try a hard wall. Analyze the leaks at each wall and move them forward and backward accordingly. Duolingo increased their DAUs by 20% after delaying sign-ups a few years ago. 24. Have better 1:1s by asking specific, open-ended questions. 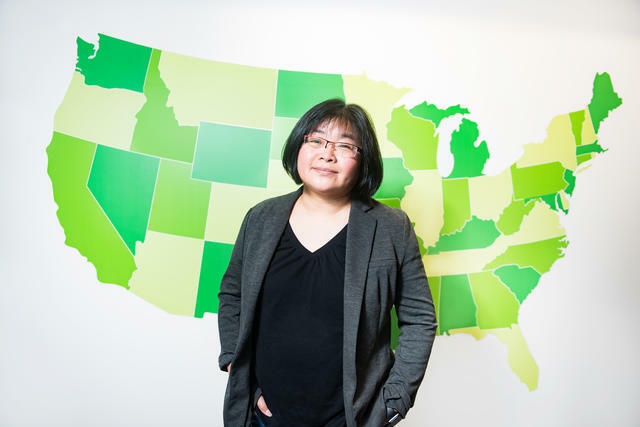 As VP of Content at Nerdwallet, Maggie Leung manages a large team of writers and editors scattered across the country. Now and throughout her career, she’s leveraged her unique ability to empathize and suss out what people around her need to succeed — and how every manner of work situation can be constructively resolved. This has helped her craft 1:1 meetings with her direct reports that leave them feeling refreshed and empowered, and that head off small issues before they become big ones. I ask this question a lot: ‘What’s harder than it should be?’ It helps you surface things in a blameless way. Your goal should be to enable and normalize very human feelings — and not veer into accusation. “If you say, ‘Hey, are you stressed?’ that attempts to force a confession in an awkward way. Instead, you could say, ‘I know that you're juggling a lot of work right now. I know you're doing X and Y. If I were in your position, I might be a little stressed. How you doing?’"
Every leader recalls the moment they announce a company altering decision, says HotelTonight CEO and Co-founder Sam Shank. For him, it was the day he informed his team that instead they were going to become profitable. From there, the company set on a path to go from burning $30 million a year to owning their destiny — in seven months. One of the most effective ways to reduce burn is to make EBITDA — net income minus your non-cash expenses and your cash burn — your compass. If your goal is to be profitable, every decision you make, metric you track, and strategy you deploy should be evaluated based on EBITDA impact. 26. Don't run anonymous surveys or feedback sessions. Patty McCord is known for creating the infamous Netflix Culture Doc while leading the company's people operations. It lays out the principles and beliefs that allowed Netflix to build such a high-performance organization. Now McCord is back with her new book, Powerful: Building a Culture of Freedom and Responsibility, which addresses all aspects of building this type of company — including how to collect feedback and employee sentiment in accountable, constructive ways. In particular, she's opposed to anonymity. Truthful people are truthful in everything they do, says McCord. And if you don't know who is giving you feedback, how can you put their comments into the context of work they're doing, who their manager is, and what kind of employee they are? Perhaps the worst problem with anonymous surveys, though, is that they send the message that it's best to be most honest when people don't know who you are. If you rely on anonymous surveys and prescribed questions, you will not get quality information. If you want to know what people are thinking, there is no good replacement for simply asking them, best of all face-to-face. McCord was once advising a company that consisted of 70 employees. She recommended that they break people into seven groups of 10 and ask them to share their thoughts. 27. Prioritize “transition” tasks as much as signups. Kintan Brahmbhatt has built a career based on taking friction out of technology. Most recently, he helped develop and define the product strategy behind Amazon Music subscription services and music on Alexa. He describes eliminating friction as creating the simplest way for your user to get where she wants to go and provides four strategies to increase your product’s rate of adoption. 28. Watch out for these all-too-common data mistakes. Starting with Metrics Instead of a Goal: “You need to start with a specific question to answer or hypothesis to investigate,” she says. Rampant Personalization: “Tell me what's not working about your product. Maybe personalization is a solution,” Richardson says. "But usually it's not, and it comes with steep opportunity costs." Too many teams fall into this trap. Hiring a Dedicated Data Scientist: Too often, companies hire a stats specialist without business acumen. Then they silo that person so they have no idea about the realities of how the company is operating. This makes their results and recommendations theoretical and often irrelevant. Chasing After the Latest Toolset: All you need are simple tools that give you clear results. Newfangled solutions are shiny and interesting, but they can't help you if you're feeding in bad or inconsistent data. "Garbage in, garbage out," says Richardson. 29. Uplevel your sales process with this template. The key benefit of this sales process is that it creates a common language for your entire team around how you qualify, manage and close deals. This also makes it a lot easier for managers to ask about the progress and status of deals, and for managers or more experienced reps to jump in and help when needed. 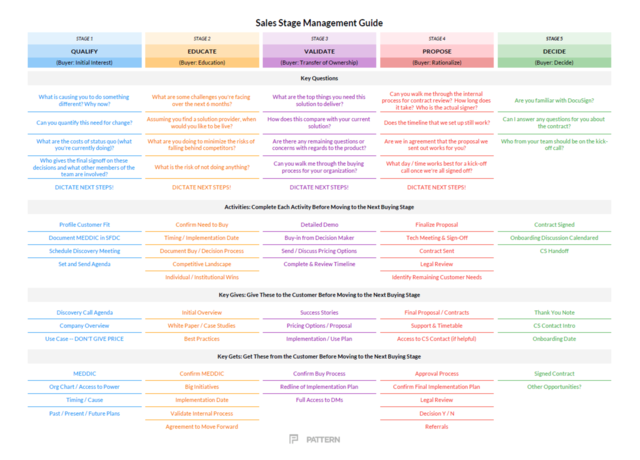 According to Draper, having a template like this enforces a more consultative sales culture. It makes it easier to coach new reps, and to assess and correct their early performance. Forecasting becomes standardized, and reps feel more empowered and supported throughout. 30. Be consistent to legitmize your brand from the beginning. When it comes to building a brand that people feel like they can trust — that feels like a credible, legitimate company's behind it — consistency is everything, says Leslie Ziegler, one of the founders of Rock Health (where she helped dozens of digital health startups figure out their brands) and current CEO of Bitty Foods. Colors: Palette of 3 to 4 complementary colors (include the RGB or hex codes if you don’t yet have Pantone equivalents). Fonts: Define headers, body copy, and <h1> through <h4> tags for web/app purposes. Logo: Show how it’s used in color, black and white, and reversed-out on a dark background. Show how the icon and wordmark can both be broken out as well, and have vertical and horizontal formats if appropriate. Top-Line Verbiage: One-line company description; one paragraph company description (boilerplate or similar for use in press); brand attributes (3-5 adjectives that describe your company). Use of these elements should be consistent everywhere, every single time. Remember the importance of ubiquity and repetition. There’s no substitute. Photography by Bonnie Rae Mills, Michael George and Christophe Wu. Top illustration by Alejandro Garcia Ibanez, featuring (from left) Gina Gotthilf, Tara-Nicholle Nelson, Tracy Young, Lloyd Tabb, and Alexis Ohanian.